Lulu Group International and Hyatt plan to open a stunning Grand Hyatt resort in Kochi, Kerala, in the first quarter of 2018. A spacious urban, waterfront resort set on 26 acres of landscaped grounds in an extraordinary location on the Bolgatty Island, Grand Hyatt Kochi Bolgatty will feature 265 rooms, which include 38 suites, and three two-bedroom villas and one three-bed room villa. 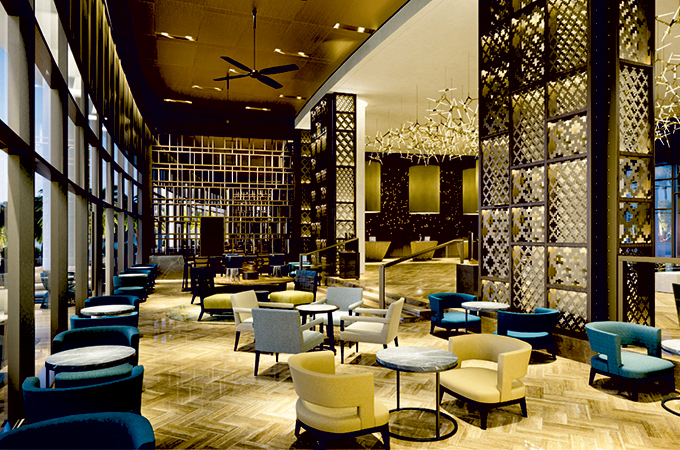 “Starting with the grand arrival, guests will be introduced to dramatic lighting and bold interiors with local, colonial and Arabic-influenced design elements that would appeal to both domestic and international travellers,” said Girish Bhagat, general manager, Grand Hyatt Kochi Bolgatty. Located near the historic and picturesque town of Fort Kochi, the resort is owned by Lulu Group International and is adjacent to the sprawling Lulu Bolgatty International Convention Centre. Spread over 7,900 sq m, the centre will be South India’s largest convention centre in a leisure destination. The resort’s food and beverage outlets include Malabar Café – where the cuisine redefines the region’s age-old, treasured recipes with an easy café spirit, Thai Soul – a casual outlet inspired by the energy of Bangkok street food, original recipes and iconic flavours. And Colony Clubhouse and Grill – situated on the roof-top with views of Vembanad Lake, this outlet will be an old-world grill room and bar with a hint of local flavour with Colonial and Arab influences and an emphasis on seafood. Leisure facilities include a Grand Club Lounge, a 24-hour Fitness Centre and the luxurious spa Śāntata, an international spa offering a modern wellness experience with traditional Ayurvedic treatments. The hotel also features an indoor pool, a landscaped outdoor swimming pool and children’s pool, a water-side amphitheatre, exploration gardens, including a spice garden, an outdoor Yoga lawn, a multi-purpose sport’s court, a children’s play area and a hair and beauty salon and three helipads.